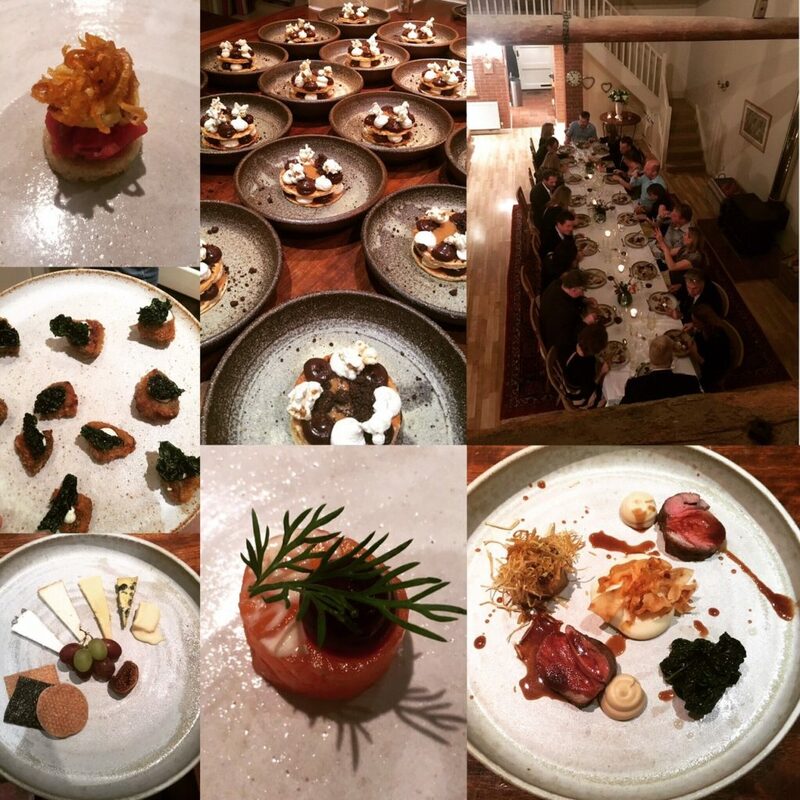 We kicked off the festive period with a private dinner in a beautiful barn in Cley, Norfolk. Highlights of the dinner included our renowned drinking snacks and the main course (which guests couldn't stop talking about) - Lamb, celeriac, leek. The evening finished with a salted caramel and chocolate mille-feuille with sweet and salty popcorn, yum! You may have noticed that our menus are written very simply, sometimes with only three or four words. Dan likes to write his menus with only three main ingredients in mind, to keep his dishes interesting and intriguing allowing him to adapt them regularly. One ingredient on a dish is usually prepared in various different ways, to showcase the versatility of the ingredient. 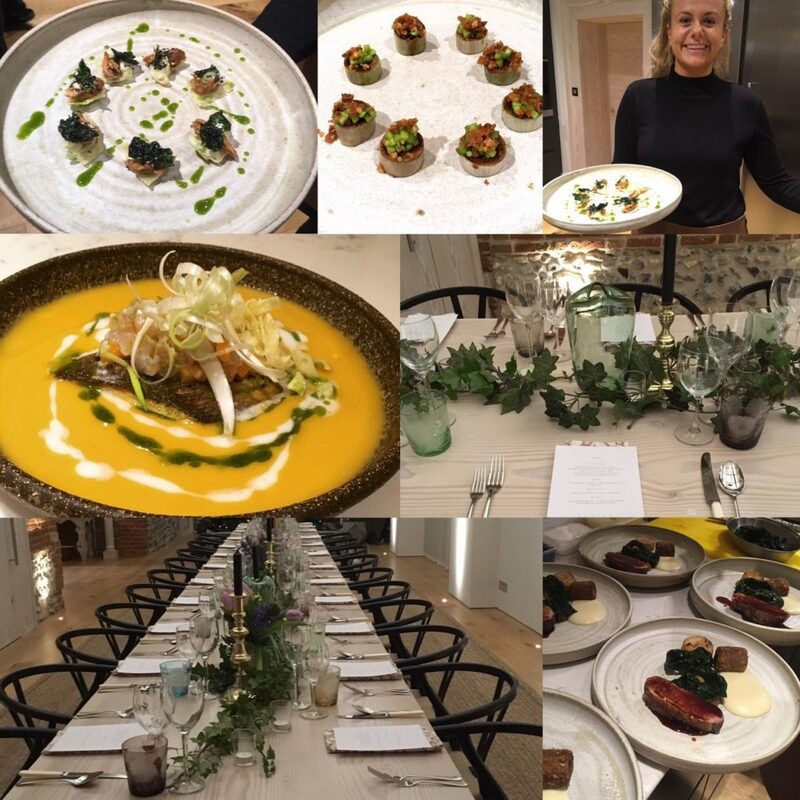 Next, we travelled down to an amazing contemporary house in Shoreditch armed with a team of eight staff to deliver a 40th birthday party with drinking snacks and Socius plates, alongside a menu of Socius cocktails. This was a challenging one for Dan and Andrew and guests were partying in the open kitchen whilst the food was being prepared - all good practice for the restaurant I suppose! 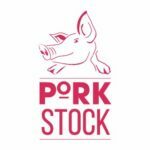 In early December, we helped the Porkstock team celebrate their fantastic achievements this year (they raised over £10,000 for the amazing Nelson's Journey!) at their thank-you dinner. We served a pork heavy menu (of course!) 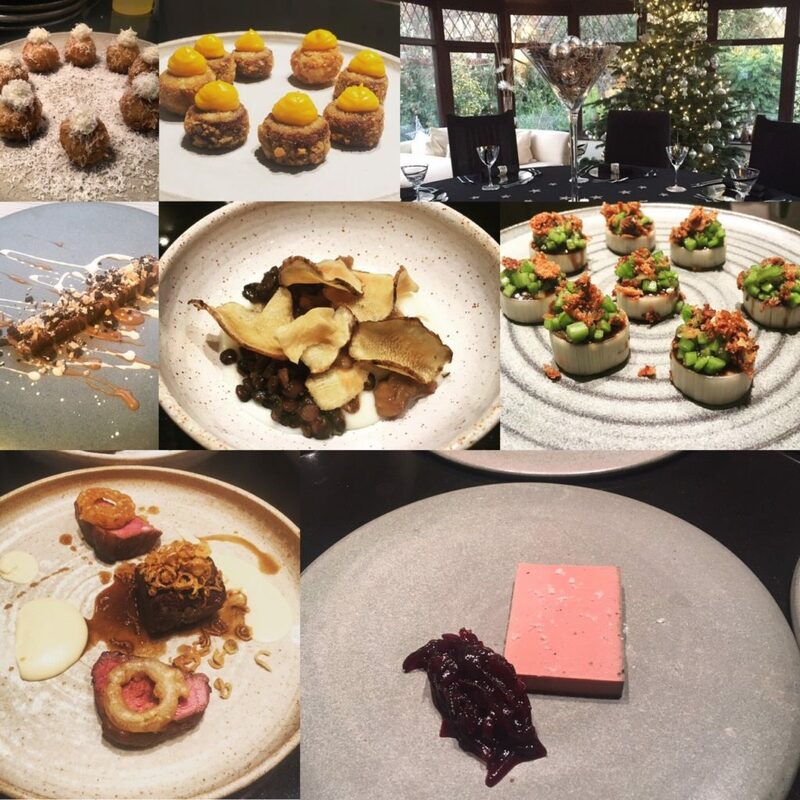 with various pork canapes, a ham hock and Norfolk quail egg starter and pork prepared in three ways for the main course. Oink Oink. The following weekend, we catered for two back-to-back events, starting on the Friday lunchtime for eight ladies in the Golden Triangle. We provided nibbles and two courses and this was the first outing of our Socius chocolate bar, which went down a storm! On the Saturday evening, we were in Thorpe St Andrew serving drinking snacks, cocktails and three courses. The chicken liver pate was a particular highlight. Our exciting year finished with a New Years Eve funny hat party. We prepared drinking snacks and three courses for twenty five guests, just in time for them to toast in the new year. If you are interested in having Socius cater for your next event, please take a look at our catering page for more information! Contact us for a bespoke quote - we'd love to hear from you! So that concludes an extremely exciting 2017 for us. We absolutely can't wait to see what 2018 has in store, with the opening of our restaurant in Burnham Market. ← Restaurant Location – Finally Revealed!